WEST LIBERTY — Thursday is going to be a day that Wheeling Central’s Laina Anderson is going to remember for the rest of her life. After four matches in about nine hours, Anderson walked off the courts at the Edgar Martin Tennis Complex a winner as she secured the No. 1 singles title at the OVAC championships on the campus of West Liberty University. 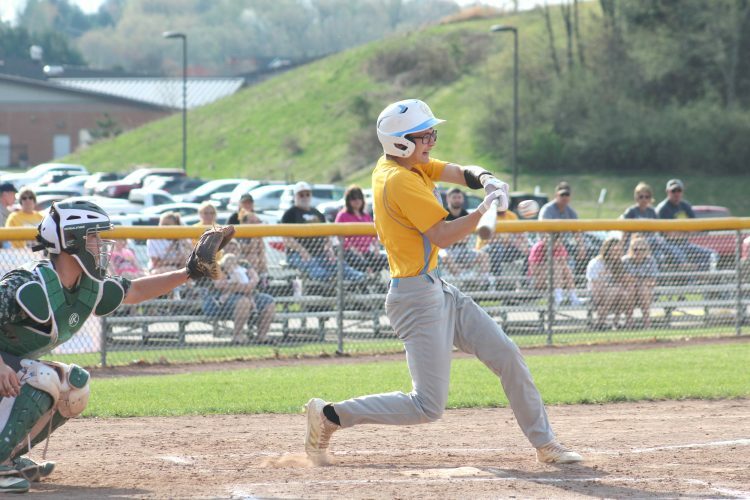 Anderson went into the OVAC Tournament as the top seed in No. 1 singles. What was even more impressive was that the freshman had not lost a match the entire season. In the first round, she defeated University’s Maya Gharib, 8-1, followed by a shutout win over Magnolia’s Logan Riggs. In the semifinal round, Anderson bested Parkersburg South’s Jordan Mader, 8-2, to make it to the championship. In a hard-fought match against No. 2 seed Emme McKnight of Morgantown, Anderson got the upperhand, 8-3, as the emotions came pouring out when she secured the match. The Maroon Knights also came in second place in the 1A-4A division getting bested by conference powerhouse Linsly. St. Clairsville came in third place. The Cadets scored a total of 15 points to secure their eighth straight conference championship. It is also Cadets coach Dave Riethmiller’s 13th championship as Linsly’s coach. Two Cadets — both were No. 2 seeds — secured a spot in the championship match in No. 2 singles Lakin Snider and No. 3 singles Caitlin Mead. Snider defeated John Marshall’s Miranda Taylor, 8-3 to play in the final round while Mead bested Parkersburg South’s Alli Barber, 8-1. Unfortunately, the two fell to a pair of Mohigans. Snider was ousted by Cat Wassick and Vinitha Joseph secured the championship over Mead. Wassick and Joseph were both the top seeds in their respected brackets. On Wednesday, Emma Augustine and Mia Cascio played in the final round of No. 3 doubles, but were defeated by Morgantown’s Joseph and Ashalia Aggarwal, 8-3. Morgantown was the 5A school winner as the Mohigans secured 27 out of 28 possible points to hoist the hardware. Parkersburg South came in second place with 14 points followed by Wheeling Park with 13. The Mohigans had a player in every championship game on Thursday, winning three of them, while sweeping the doubles championships a day earlier. In No. 4 singles, Wheeling Park’s Ashley Trischler punched her ticket to the championship match, which included a nailbiter semifinal round. With one of the closest matches of the day, Trischler came out on top defeating Parkersburg South’s Taya Davis. Trischler then fell to Morgantown’s Mackenzie Sorton in the championship match.